If you want to make sure that your septic system is always able to perform beautifully, there are times when you need to have it inspected. If it looks as though you require septic system repair in Smokey Point, it is always in your best interest to find someone who can get to the heart of the matter to fix the problem for you in a timely fashion. With a septic system, the primary goal is to ensure that all of the drinking water in the area remains safe. This system helps by filtering out the household contaminants that are in the wastewater to make sure that they do not make it to the local groundwater supply. The human waste solids get stored in the septic tank and will have to be pumped out periodically. Any household chemicals are leached out through your drain field or leach field. Nobody wants to have an issue with their septic system, but there are some times when you end up with a blockage that will need to be addressed. You may have had something go down the drain that was not supposed to, or there could be grease and hair that builds up in a section that will cause a blockage. Depending on the proximity of your septic tank, you may also have a situation where roots have made their way in and start to cause a problem. You can call us with confidence at Schleg Valley Construction, and we will make sure that you get the repairs that you need in a timely fashion. We have the manpower, knowledge, and equipment necessary to facilitate your repair work promptly. 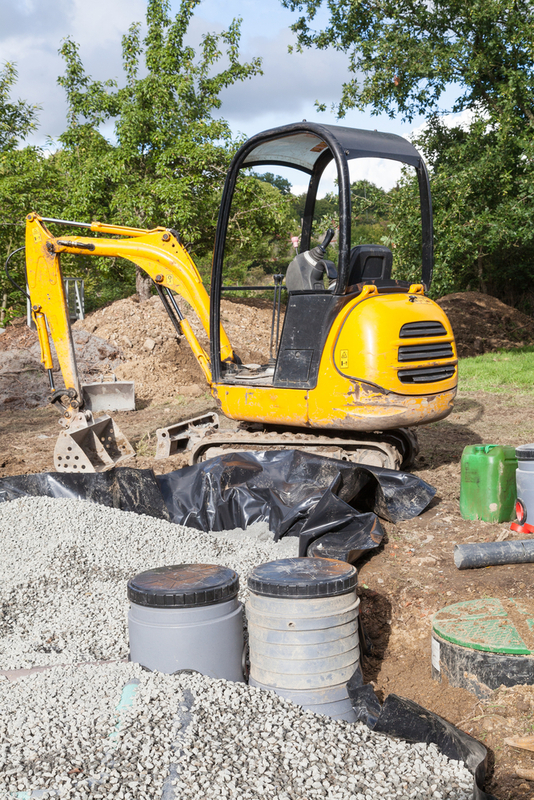 When you need septic system repair in Smokey Point, we are here to help at Schleg Valley Construction. Call (425) 312-6750 today for a detailed estimate. Previous PostPrevious What Does A Septic System Install In Smokey Point Involve? Next PostNext What Is Involved In Drain Field Repair In Granite Falls?